Get your New Year off to a sweet start! 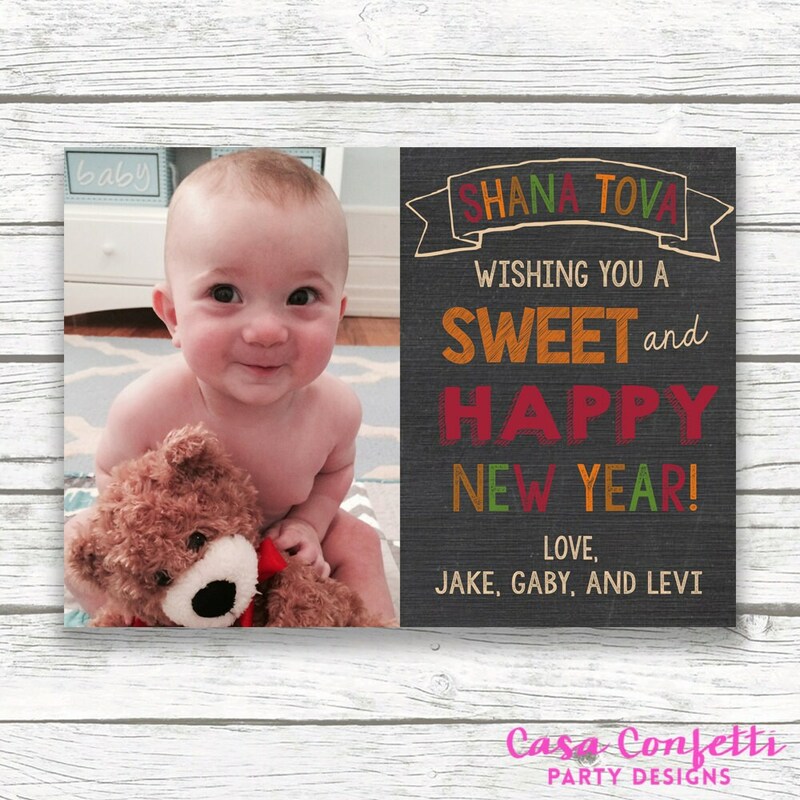 This Rosh Hashanah card is perfect for showcasing an adorable family photo! 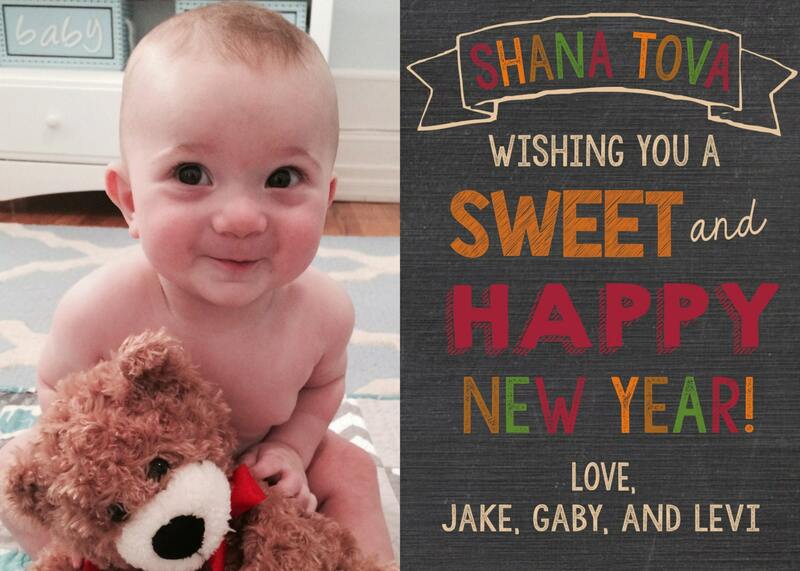 Would make a beautiful greeting card to mail to family and friends, or you can simply email the JPEG. Once you approve the proofs, your print-ready, high-resolution files will be emailed to you. Watermark will not appear on final item.